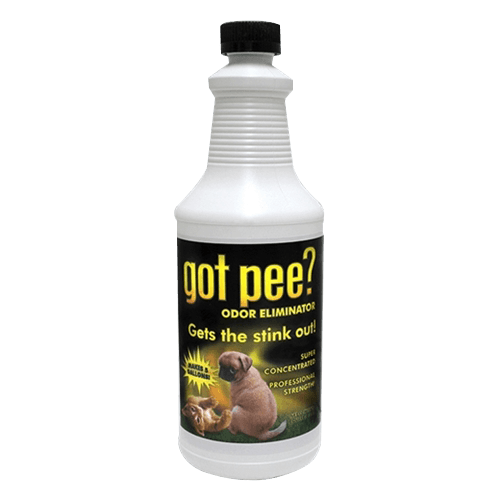 This ultra-effective odor eliminator eliminates powerful odors from urine and feces by getting right down to the source. Bacterial enzymes help break down the organic matter that’s causing the odor, while also ensuring that the odor won’t remain and tempt your pet to re-mark their territory. Contact your local dealer to buy this product. This product is easily the most powerful spot cleaning product on the market. 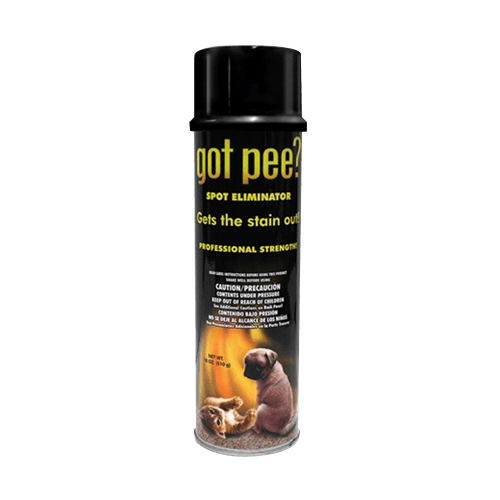 A combination of strong cleaners and degreasers, this spot eliminator can remove almost any kind of spot. Its stream spray concentrates the product right onto the stain and quickly saturates materials to start working its magic. It also contains an odor neutralizer to take care of both the stain and the smell! Contact your local dealer to buy this product. This professional-strength cleaner kills and removes germs not only from synthetic turf, but from cages, kennels, beds, floors, and more! Its disinfectant properties kill germs while also acting as a detergent to break down waste and dirt. Contact your local dealer to buy this product.